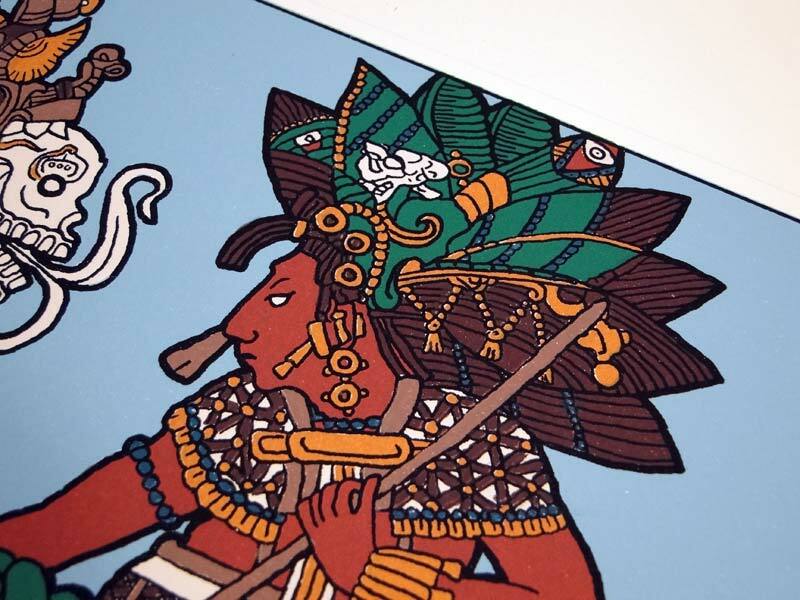 11″x15″ original print. 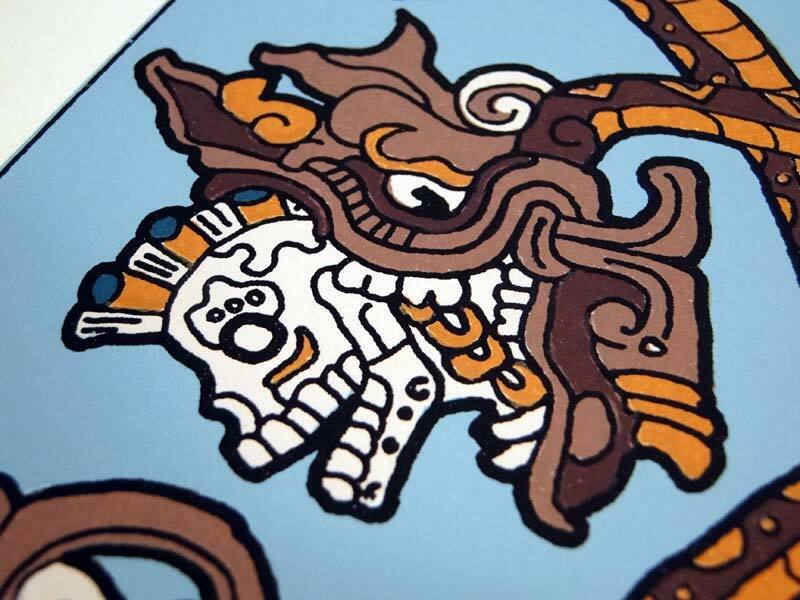 9 color screenprint. 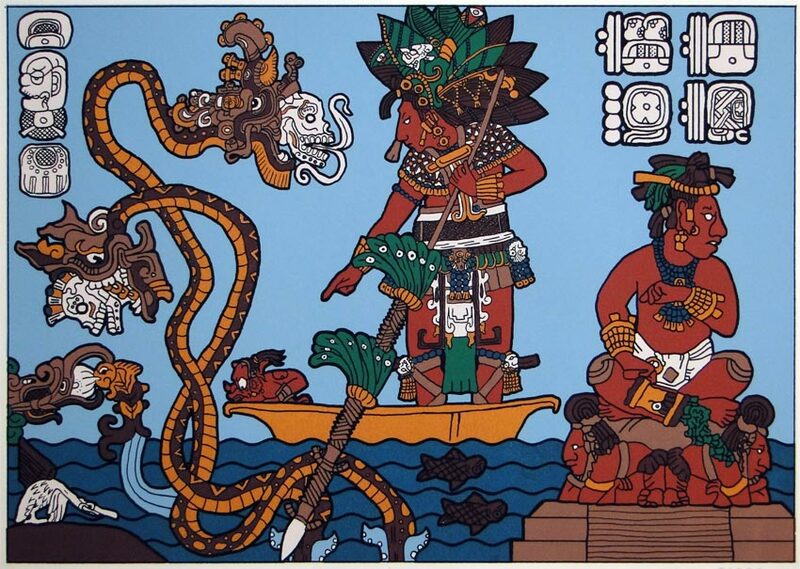 Adaptation of Maya imagery from murals, bone cravings, and stone bas relief to create a new Mayan myth. 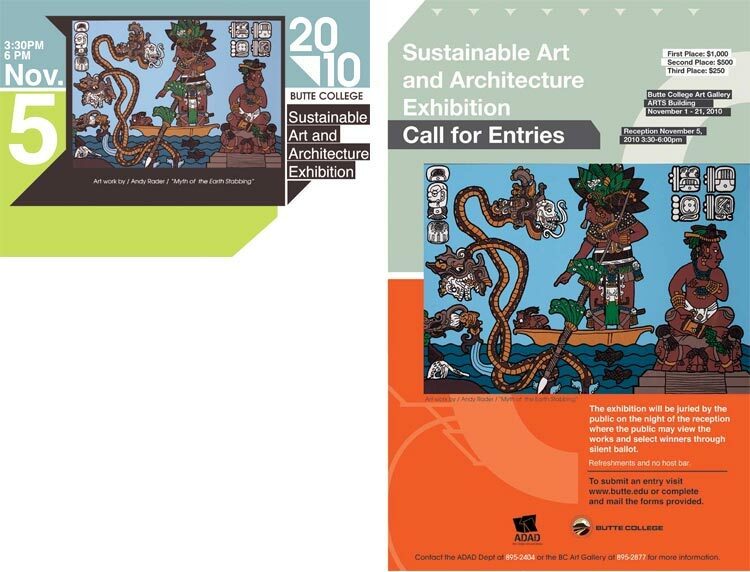 Juried Group Exhibition, Sustainable Art and Architecture Exhibition, Butte College, CA.